A residence in Palmer Park available on the market is one buying opportunity which should not be missed. 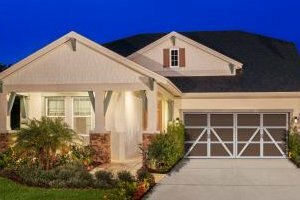 This community would be of particular interest to prospective buyers of Sarasota homes for sale who have on top of their wish list convenient location to every life and leisure needs but at the same time prefer a less conspicuous place to live in. Homes for sale in Palmer Park sure qualify with this discriminating requirement of a retreat-like but convenient living. Developed in 2016, this neighborhood is tucked in a quiet nook west of Honore Avenue just off north of the western end of Palmer Boulevard. It is flanked north by the older, 255-home community of Cedar Hollow and south by Sunnyside Village, a senior Christian living community of some 200 residences off Bahia Street. Palmer Park is way smaller compared with its neighbors buffering its northern and southern flanks. Its developer, the Atlanta, Georgia-based Ashton Woods, platted this community for just 35 home sites nestled amidst lush nature preserves and towering masts of oak trees. The lot sizes in this community measure between 7,000 and 9,000 square feet. Each of these home sites provide either a preserve or water view which very much jibes with the coastal cottage theme of Palmer Park homes for sale. These residences strut classic exteriors with their textured fiberglass doors, weathered wood, and acrylic decking of patios and porches. Dramatic interiors and gourmet kitchens plus a slew of energy-efficient features make these homes a winsome buyer’s choice. 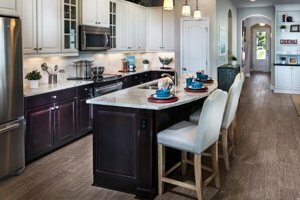 Ashton Woods has made available five home designs in Palmer Park, with choices on one or two-story builds having floor areas of between 1,700 and 3,200 square feet. Configured for three up to seven bedrooms, these home models offer flexible floor plans and design options which allow buyers to inject their personal touch to the builds. The developer has an award-winning studio helping buyers to create a dwelling that matches their personal styles. Though located in a serene part of town, Palmer Park enjoys proximity to various area amenities catering to every life and leisure needs. Young parents would love settling in this neighborhood just minutes to Fruitville Elementary and McIntosh Middle respectively located north and south of this community. Fruitville Road, which is less than a mile north of this Palmer Park, is a major east-to-west corridor leading to various business and commercial hubs. A short drive westward Fruitville opens lifestyle activities as well as career opportunities at downtown Sarasota. Eastward, the road leads to Interstate 75 which is a northward portal to corporate centers and business parks in and around Lakewood Ranch. Recreational facilities open to the public are easily accessible too from Palmer Park. Towards north, the 23-acre Fruitville Park is one attractive destination, with its numerous athletic and outdoor recreational activities in its softball and soccer fields, tennis courts, fitness trail and playground. 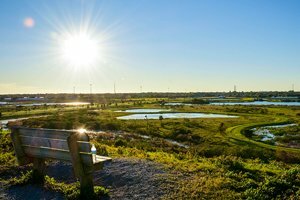 Eastward via the nearby Palmer Boulevard, the 360-acre Celery Fields offers bird-watching, kite flying, walking, running, biking, and horse riding. Several golf courses and Siesta Key’s beaches are likewise within easy reach from Palmer Park to further sweeten home ownership in this community. Below are the current real estate listings available at Palmer Park.